Rutvik Gandhasri of San Jose. San Jose seventh-grader Rutvik Gandhasri was eliminated from the National Spelling Bee on Thursday. Rutvik, 12, who attends Chaboya Middle School in San Jose, was tripped up in the 10th round of the competition by the word "betony," which is a plant in the mint family. 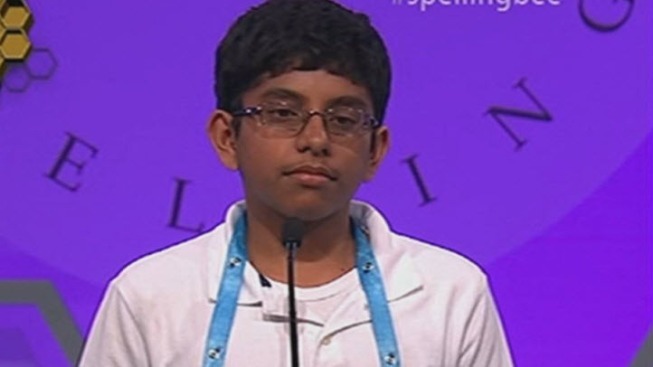 Rutvik hopes to attend Harvard University and become a neurosurgeon; he also created his own automobile company, according to the National Spelling Bee website.